Earth day is a global event that takes place every year in which people stop everything for a minute and focus on the world we live in. On 22 April this year, the respect we have for our planet's environment will be celebrated by millions of people. Here at Naissance we are constantly striving to improve, not just through the quality and provenance of our products but also the service we provide to our customers. We're also particularly committed to reducing our negative impact on the environment. Although we know that lots more still needs to be done, we are always committed to #discoveringbetter and finding new ways to celebrate natural products while protecting the world we live in. An important part of our #discoveringbetter journey is sourcing all of our products responsibly and proving our commitment towards protecting and nurturing the environment. We always try and work directly with growers if we can which enables us to support independent businesses & their surrounding communities. 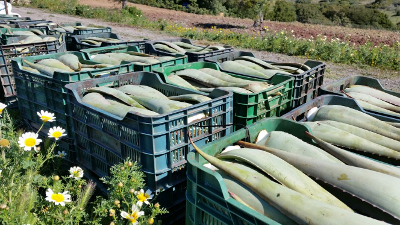 Our Aloe Vera for our Aloe Vera gel, for example, is sourced from a small producer in Spain called Nino who we are proud to have built an amazing relationship with. We are also working with a wonderful cooperative in Ghana from whom we source Organic Shea butter. Our range of powders, salts and waxes are packaged in new craft-style Bio Bags. These pouches are made with up to 60 per cent renewable wood pulp which is biodegradable and will dissolve in healthy compost within approximately 85 days (in a normal residential composting environment). 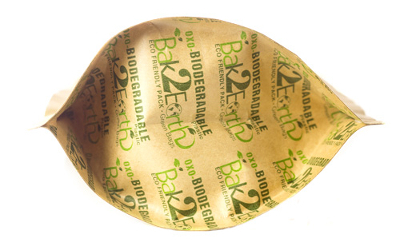 The plastic (PE) part of the Bio Bags protects the products from moisture and contains a special additive that helps to break it down, lessening its impact on the environment. Our bottles and tubs are not yet biodegradable, but our PETE plastic bottles and glass bottles can be recycled with your household recycling. Our boxes are sustainably sourced, and you will find the FSC (Forest Stewardship Council) logo on all of them. The FSC is a global organisation dedicated to the promotion of responsible forest management worldwide. Recycling is hugely important to our company. We try to ensure all packaging and packing materials we use are recyclable and we have recently invested in new equipment to help us minimise our excess plastic waste. Our staff are also heavily encouraged to recycle everything they use on and off the shop floor and each member is provided with a bamboo eco-cup when they join us. Bamboo absorbs 35% more carbon dioxide per hectare than equivalent trees and is a very sustainable crop; a fast-growing grass, it requires no fertilizer and self-regenerates from its own roots, so it doesn't need to be replanted. When you buy a product for your beauty regime, you always want to make sure you're buying the best. Unfortunately, a lot of companies around the world add microbeads, non-biodegradable tiny particles of plastic, to their personal care cosmetic products. Microbeads, as the word suggests, are hardly visible to the naked eye and flow straight from the bathroom drain into the sewer system contributing to the pollution of the oceans. Sea animals often eat or absorb microbeads which results in them being passed along the marine food chain. Since humans are ultimately at the top of this food chain, it is likely that we are also ingesting them. To make sure that cosmetic products are completely free of any microplastic ingredients you need a guarantee. As a business we are proud to state that all of our products are 100 per cent free of plastic ingredients. So glad to read about your recycling projects.I am trying to reduce my plastic usage and your changes give such a boost. Keep going! Thanks for posting this article as is important for manufacturers to be taking the lead in what is supplied to the public. The information on bamboo was interesting too.